Changing Seasons Home Health serves the Texoma area in North Texas. We service an area within a 30-mile radius of Sherman, Texas, Texas in Grayson County. 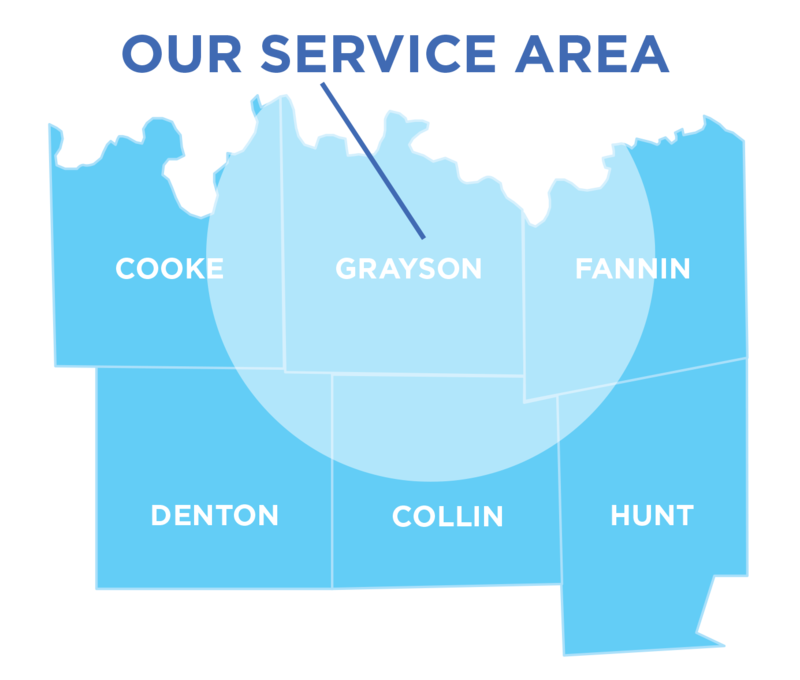 This service area is bounded by Anna, Texas to the south, Denison, Texas to the North, Bonham, Texas to the east and Gainesville, Texas to the west. Please check the map below for an approximation of areas in which we provide services. If you have any questions, please contact us for more information.